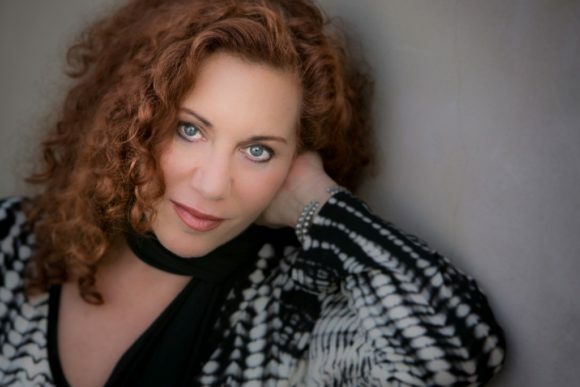 Kathy Kosins performs at Congregation Beth Shalom Rodfe Zedek on Sunday. CHESTER — Song stylist Kathy Kosins, described by one prominent music critic as “everything Diane Krall should be,” will perform in Chester on Sunday, Feb. 5, at 5 p.m. Her appearance opens season nine of Music & More at Congregation Beth Shalom Rodfe Zedek and, as always, is open to the public, and features a meet-the-artist reception afterward. Kosins has performed throughout Europe, as well as Tanglewood in the Berkshires, the iconic Blue Note in New York City, and the Newport Jazz Festival. She is particularly known for uncovering great songs that are overlooked by others. In all, though, her work is not easily categorized. In 2012 she released “To The Ladies Of Cool”, a dedication to the West Coast School of Cool artists like June Christy, Chris Connor, Julie London, and Anita O’Day. Her latest release this year (2016) is titled “Uncovered Soul” and includes lesser known tunes by well-known artists like Curtis Mayfield, The Neville Brothers, and Bill Withers, along with three originals of her own. David Zeleznik, the director of the Music & More series, says, “I am particularly excited that this concert will be Kathy Kosins’ only appearance in CT this season. Her new release ‘Uncovered Soul’ has transported her from mainstream jazz to groove-oriented soul. On the recording, produced by Grammy Award-winning producer Kamau Kenyatta, she is backed by the incomparable Gregory Porter. Visit this link to see video of Kosin performing. To accompany her in February, Kathy has recruited Earl MacDonald, the celebrated jazz pianist who is Director of Jazz Studies at UConn and composer in residence at the Hartford Jazz Society. Earl has won the Hartford Advocate’s “best jazz group” award several times and will bring along a couple of other jazz professors to round out the combo backing Kathy. Music & More, which has become a cultural phenomenon in the Connecticut River Valley, offers three more concerts for the ninth season, featuring the a capella singing group, the Maccabeats (March 19), classical pianist Dalia Lazar (April 30), and Bivolito Klezmer (June 25). Tickets for the general public for the Kathy Kosins concert are $35 in advance or $40 at the door, with free admission for children 16 and under. Congregation Beth Shalom Rodfe Zedek is located at 55 East Kings Highway in Chester.